What is comfort food to you? Is it a greasy burger? Or a huge plate of meat and potatoes? Or a dish that reminds you of someone you love? To me, comfort food is different things at different times. During cold winter days, soups are often my comfort food. Warm and salty, soups instantly make me feel cozier and, well, comforted. Know what else makes me feel good? Dishes that take just minutes to throw together. This is one of those. 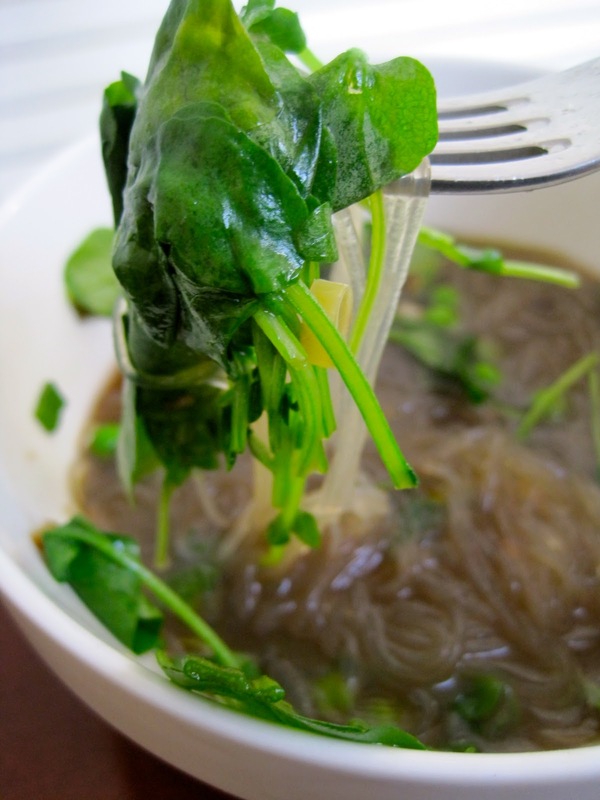 It features glass noodles (a.k.a. 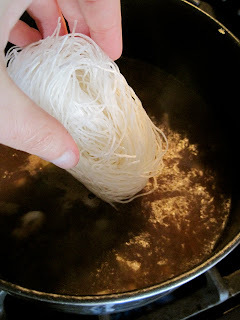 cellophane noodles, bean threads, Chinese vermicelli, etc.) that are gluten-free and cook quickly right in the soup. Hopefully, you have some stock on hand—it's a good idea to make big batches and keep containers handy in the freezer. If you don't have the homemade stuff, you can use a box of low-sodium, organic stock; I used a mushroom broth, but you can use any kind you like, whether it's chicken, beef, or vegetarian. You might be surprised to see watercress in a soup, since it's usually associated with salads or those precious, crustless sandwiches. However, the peppery green is a great balance to the sweet peas in this soup. The watercress is also a nutritional powerhouse: a cup of it provides over 100% of your daily Vitamin K, as well as loads of vitamins A and C and even some calcium and omega-3s. That same cup is only four calories. FOUR CALORIES. This is why it's a great idea to add more greens to your diet: they are low in calories, fill your belly, and are extremely nutrient-dense. 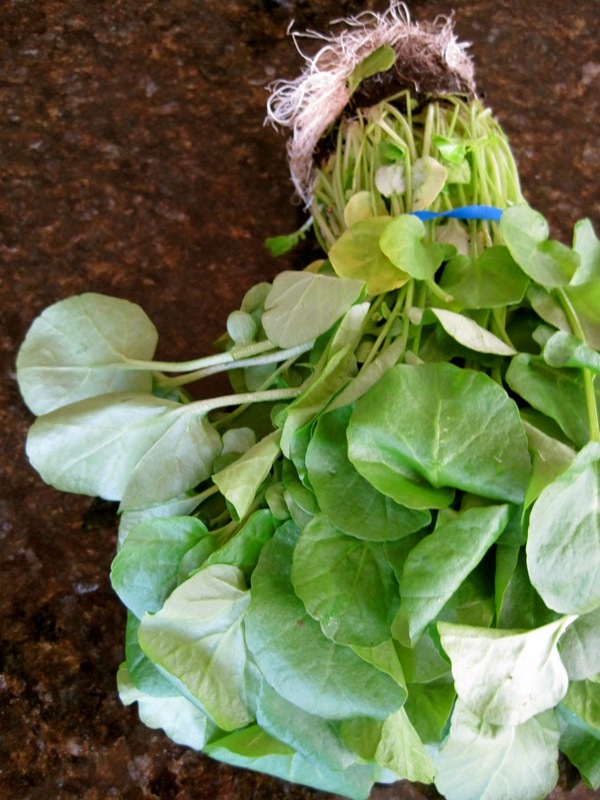 Watercress is delicate, so try to use it the same day you buy it. Heat sesame and extra virgin olive oils in a three-quart pot over a medium-low flame; add garlic and the whites of the scallions. After a couple of minutes, add the stock or broth and the soy sauce; bring to a boil. 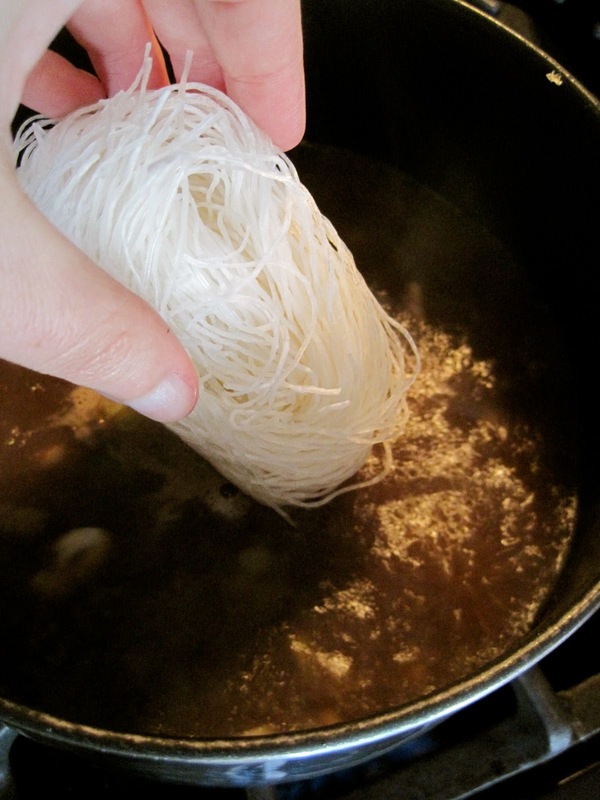 Place the noodles in the pot and reduce to a simmer. Meanwhile, divide peas among soup bowls; when the hot soup hits them, they will immediately thaw. Once the noodles are soft (it should only take a few minutes), ladle the noodles and soup into each bowl over the peas. Top with the chopped green scallions. This is definitely the kind of soup you need to eat with chopsticks or a fork (if your chopstick skills, like mine, are seriously lacking). Get ready to slurp those noodles! What kind of foods scream "comfort" to you? Looks so yummy! I'm excited to find your page, I love pages devoted to mommy's and mommy's to be! Thank you! What a fabulous note - thank you! And, yes, I think the key to healthy eating is those "completely random dishes" that just throw good food together in one really good dish. Yum! I have to make this. I think I'll add some shitake mushrooms too. Yes, definitely, that would be so good! This soup absolutely makes me happy!! It takes me a little out of my comfort zone of the normal kind of soups that I like to make and I LOVE that. I am pinning and going to try very soon. Thanks! Happy Tasty Tuesday! 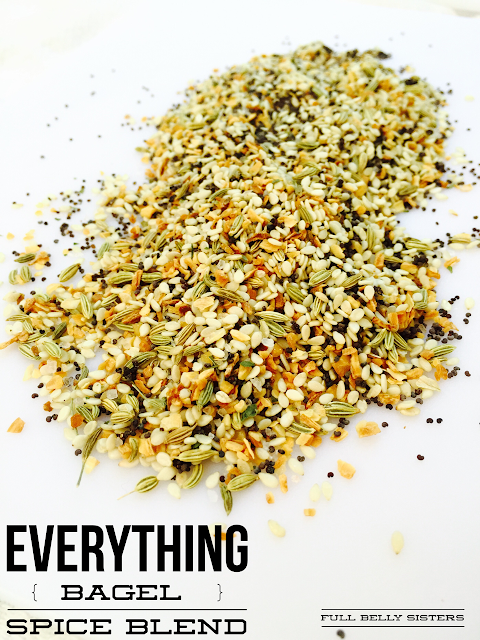 We love this recipe and it is featured on our Tasty Tuesday - Soup and Stew recipe round-up this week! THANKS! Thanks so much, I'm honored! We got a Versatile Blogger Award! Leftover Fried Rice? Put an Egg On it!